"Iran is ready to participate in the negotiations process for the existing JCPOA, but only in the framework of a discussion on its implementation, and not on its adjustment or the introduction of some new points to the signed documents," Naghavi-Hosseini said, speaking to Sputnik Persian. The Iranian parliament's JCPOA commission head emphasized that "the only subject of negotiations between the Islamic Republic of Iran and the three European signatories of the JCPOA is how ready they are to guarantee the fulfilment of their obligations under the agreement, and guarantee compensation to Iran for the damage Tehran will incur due to US sanctions." Naghavi-Hosseini, who also serves as spokesman for the Iranian parliament's National security and Foreign Policy Commission, noted that there would not be any JCPOA 2. "If the [Western European] signatory countries are ready to provide guarantees, the JCPOA will be implemented. Otherwise, the Iranian government will have to implement the law adopted by the parliament; but we will not conduct any new negotiations on any 'new JCPOA' with the US and the Europeans. We've already held negotiations once, an international agreement was reached; therefore, everyone is obliged to fulfill their obligations under this document. If this doesn't happen, what would be the point of any more negotiations?" Hossein Sheikholislam, who served as a key advisor to Iranian Foreign Minister Javad Zarif during the most difficult moments of the JCPOA talks, echoed Naghavi-Hosseini's sentiment. "France's unilateral initiative is just a product of its imagination. In reality, Iran will never go beyond the format of the negotiations it conducted with the 5+1 group. There will be no other talks," he stressed. 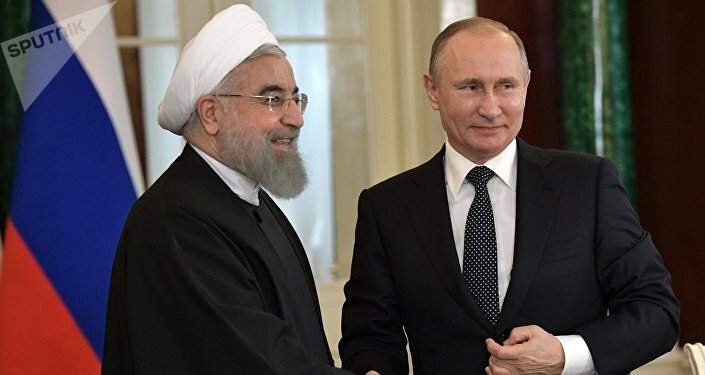 Alexander Azadegan, geopolitics professor and editor-in-chief of the ImperiaNews website, told Sputnik that France's 'new JCPOA' initiative looks less like an attempt to save the Iran deal and more like an effort to show solidarity with Washington. The departure of French companies from the Iranian market is a vivid example of this, he said. "Let's take Peugeot, which has already betrayed the JCPOA. According to an official statement by Groupe PSA, which owns Peugeot, Citroen and DS, the activity of all the brands of this group will be suspended in Iran beginning August 6, 2018. Obviously, the purpose of this demarche is to support the sanctions the US government is introducing," Azadegan explained. Today, the observer noted, "all political circles in Iran, from the conservatives to the reformists, understand perfectly well that the main idea of the US and its partners, like France, is to put Iran in a new round of talks, which has the goal of regime change in the Islamic Republic, similarly to how this happened in some Middle Eastern countries. But Iran will never accept this." Europe, Azadegan added, is now trying to "buy time" for the JCPOA, to hobnob with Tehran while avoiding harsh US sanctions, and to drag Iran into an "economic trap" through the withdrawal of its companies from the Iranian market. "But Iran will never allow its security and territorial integrity to be compromised," he said. In this sense, Azadegan noted that Paris's initiative for a new JCPOA looks foolish, and more like a PR move for the public than realistic policy. French President Emmanuel Macron proposed a 'new Iran nuclear deal' to President Trump shortly before the latter unilaterally withdrew the United States from the JCPOA agreement last month. The new deal reportedly talked of curbing Iran's "regional ambitions," as well as its ballistic missile program. 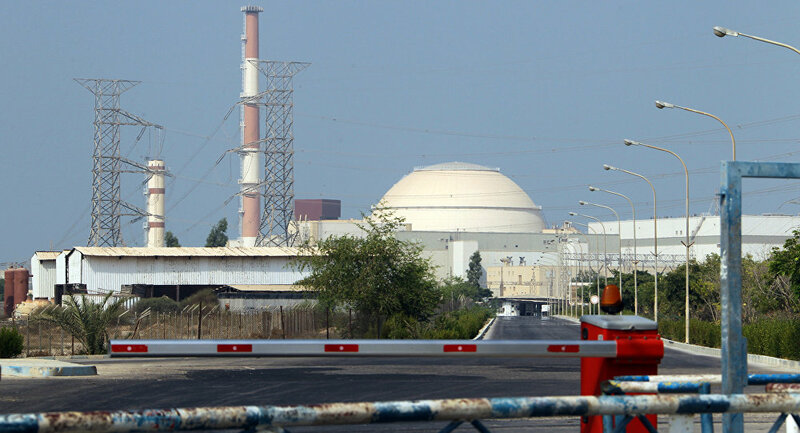 Tehran has vehemently rejected all proposals for new negotiations.